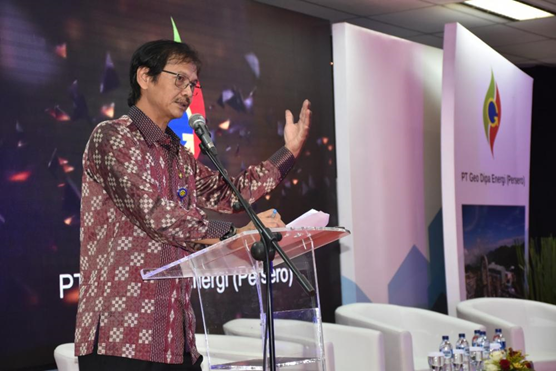 JAKARTA - The Director General of EBTKE, Rida Mulyana, revealed that there were several challenges faced by PT Geo Dipa Energi in efforts to develop geothermal energy. "There are a number of things that become our challenges in geothermal development, what develops in the field is sometimes not what we expect," said Rida in the Initial Panel Discussion in 2019 organized by PT Geo Dipa Energi with the headline "Indonesia Geothermal Outlook 2019 "on Tuesday (1/22). The first challenge expressed by Rida is the development of social issues related to geothermal utilization, which until now is still a homework . In this case, all parties have the same obligation to increase understanding of the community and related parties so that there is no misunderstanding of the impact of geothermal business activities. Not only talking about the advantages of geothermal energy compared to other primary energy sources, but also geothermal exploitation must go according to plan and remain in the corridor of the pro-environment development strategy and avoid potential pollution and / or damage to the geothermal environment. "I think energy has been very well understood, being the backbone of the growth of increasing community welfare and geothermal including one of them. This is what makes Indonesia unique. The challenge is how to place it as much as possible," continued Rida outlining the second challenge. The next challenge is related to funding. The RUPTL target has been prepared and there are geothermal targets which according to Rida require contributions from Geo Dipa. For the record, the target of geothermal installed capacity in RPTUL until 2028 is approximately 6 GW and now only reaches 2 GW. This means there is still a shortage of 4 GW in the next 10 years. "If the Ministry of Finance as a shareholder of PT Geo Dipa Energi (Persero) has the intention to disburse funds, we from KESDM are ready to assign Geo Dipa with several Geothermal Work Are (WKP)s," said Rida. Finally, in line with the ESDM Minister's message, Rida explained the challenges of developing heat earth is an adjustment to the development towards industrial revolution 4.0, which includes Artificial Intelligent, information technology development, development and utilization of electric vehicles, and renewable energy. "According to the Minister, renewable energy will emerge. Geothermal is one of them. Moreover, Indonesia is unique in that. Not all countries have volcanic capacity as big as Indonesia. It remains to be used. If there are things that become obstacles we can discuss," added Rida.